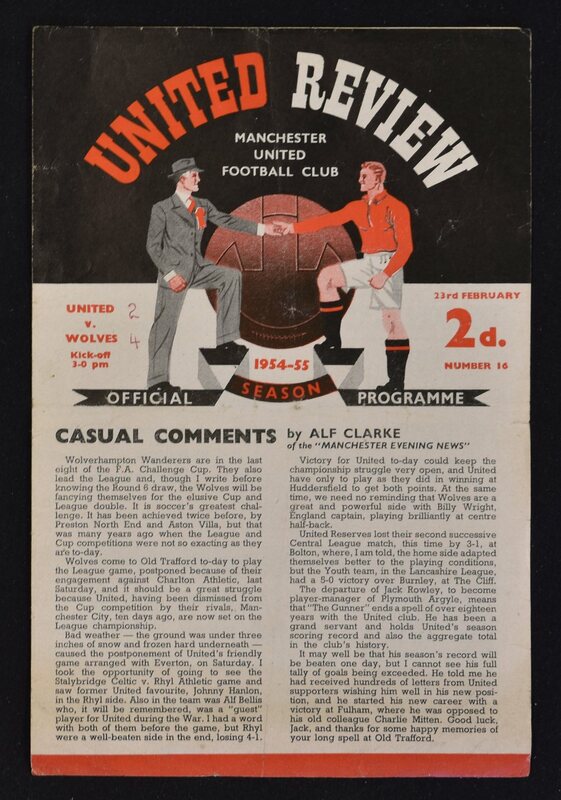 1954/55 Manchester United v Wolverhampton Wanderers football programme date 23 February 1955 (programme no. 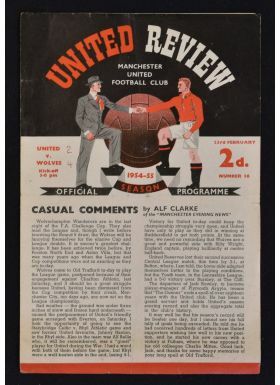 16), scarce 4 page issue. Slight crease, score to cover.